Modway, Response Collection, Dimensions: 39.5"W x 37.5"D x 35.5"H. Weight: 102 lbs. Embrace leisure time with the artfully designed Response Collection. 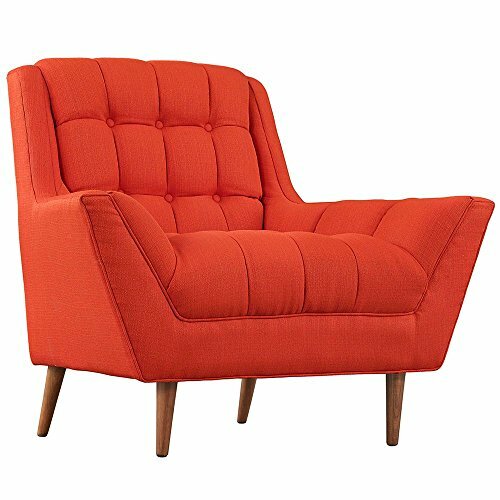 Exquisitely crafted with tufted seat and back, gently sloping arms, and adorable design, Response comes well-loved for all the right reasons. Dense foam padding ensures comfort, while the well-orchestrated style will energize your space. Tapered wood legs with non-marketing foot caps finish off this piece of distinctinction and estimable appeal. View More In Sofas & Loveseats. If you have any questions about this product by Modway, contact us by completing and submitting the form below. If you are looking for a specif part number, please include it with your message.